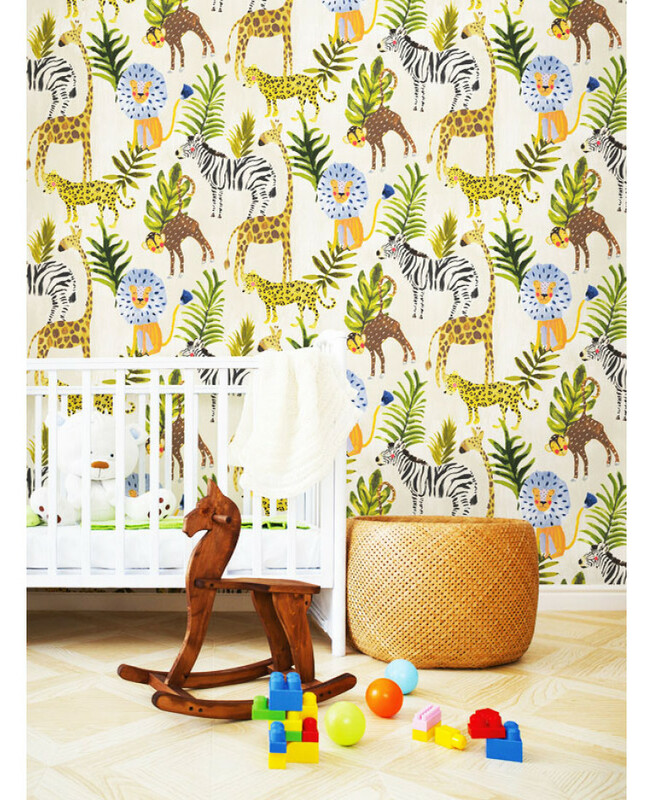 This Little Ones Eco Safari Wallpaper by GranDeco is ideal for giving a bedroom or playroom an adorable animal theme. 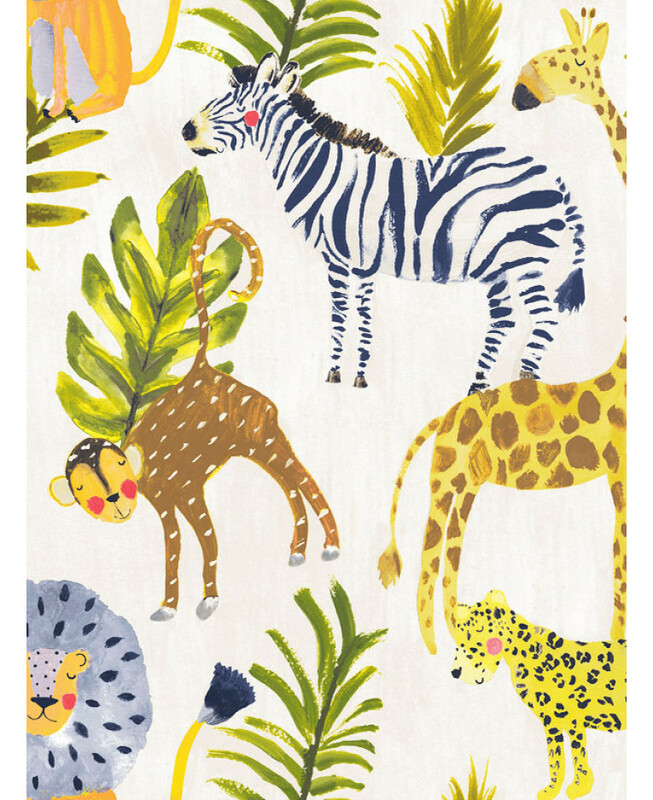 The hand-painted style design shows exotic animals and jungle foliage in coordinating natural tones set on a pale cream lightly textured background. 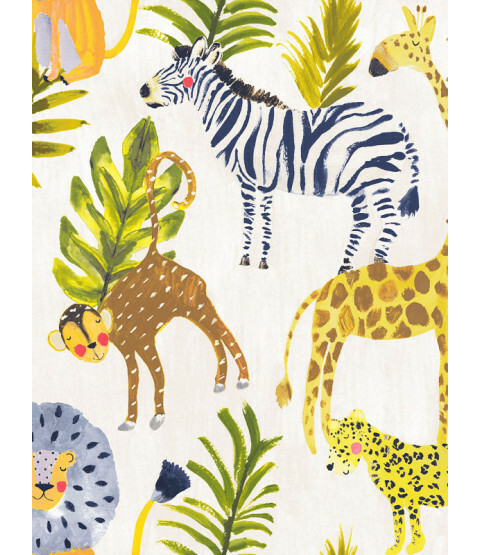 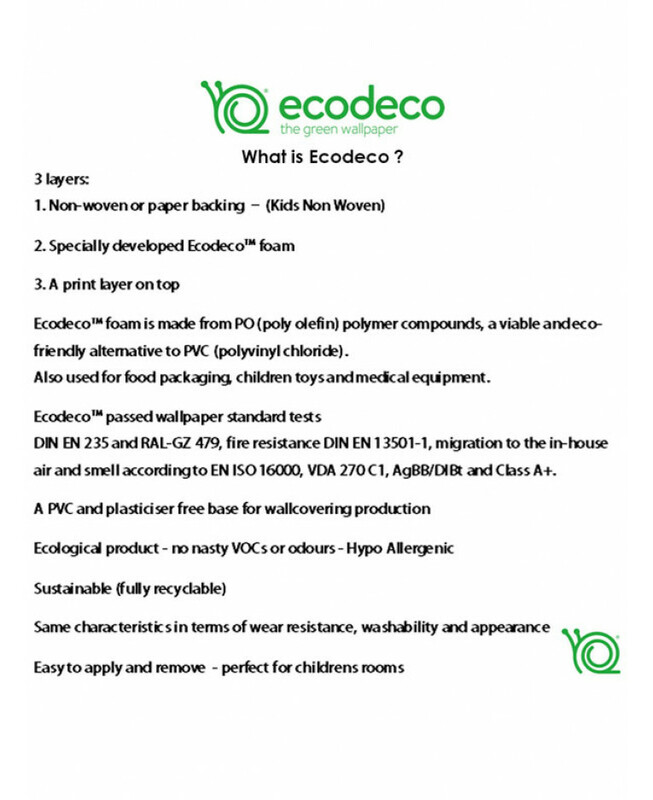 This high quality wallpaper has fantastic eco-friendly properties and could be used to create a feature wall or to decorate an entire room.